Leenaars Marine & Offshore Design relies on SOLIDWORKS Premium integrated analysis tools to optimize the structural performance of its designs. The maritime industry demands reliable vessels, equipment, and platforms. By consistently meeting the industry’s needs for more than 30 years, Leenaars Marine & Offshore Design BV has become a leader in creating innovative designs for ships, offshore platforms, and marine equipment. Staffed by naval architects, structural engineers, mechanical engineers, and captains, the Dutch company draws upon its expertise to play a leading role in the introduction of new maritime technologies. Leenaars Marine & Offshore Design has initiated notable research projects with international partners, holds several patents related to offshore equipment, and remains at the technical forefront of the marine and offshore industry. Until 2007, the firm contracted all of its analysis work. However, that approach limited the use of analysis to confirming the validity of a single design rather than evaluating other approaches and potential innovations, according to Managing Director Cees Leenaars. “Using an external party to perform analysis served as a final check on our design but really didn’t contribute to evaluating new concepts,” Leenaars notes. “We needed to conduct analysis more frequently and believed that by doing it internally, we would become more productive and be able to evaluate more variations on a design. In evaluating analysis packages, Leenaars Marine & Offshore Design understood the importance of CAD integration. “We already had experience with the SOLIDWORKS® CAD package and wanted to increase its functionality to do FEM (finite element method) analysis on models that we had previously built,” Leenaars explains. In addition to reducing development time, SOLIDWORKS Premium has allowed engineers at Leenaars Marine & Offshore Design to become more productive and collaborate more effectively with designers. “SOLIDWORKS Premium software helps put our engineers’ time to more efficient use,” Leenaars stresses. Using SOLIDWORKS Premium, Leenaars Marine & Offshore Design has also achieved many of its design improvement goals, such as reducing steel weight and introducing innovations. 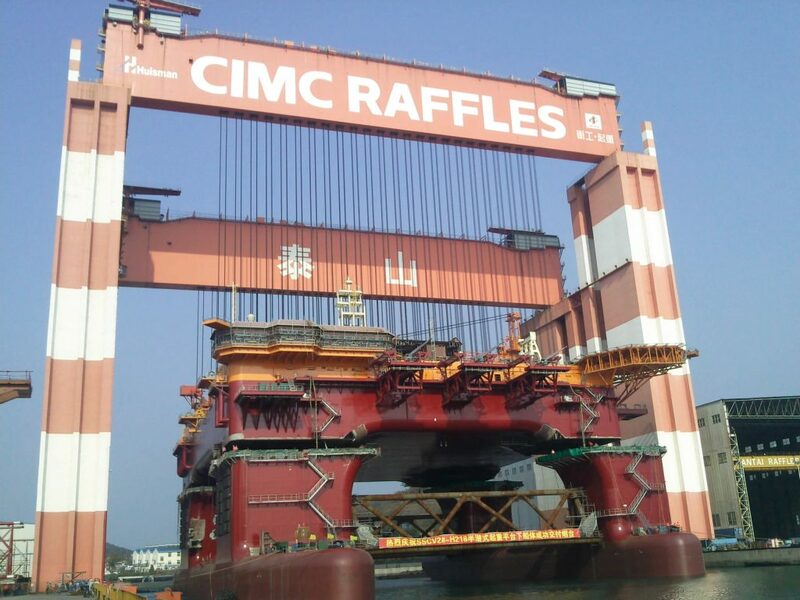 For example, the firm’s LNG module supports, which serve as the interface between the vessel and multi-wheel transporters, is 15 to 20 percent lighter and eliminates 10 lost ship days, or $450,000 in cost. Improve the ability to examine innovative, cost-saving approaches to the design of ships, offshore platforms, and equipment while simultaneously increasing productivity. 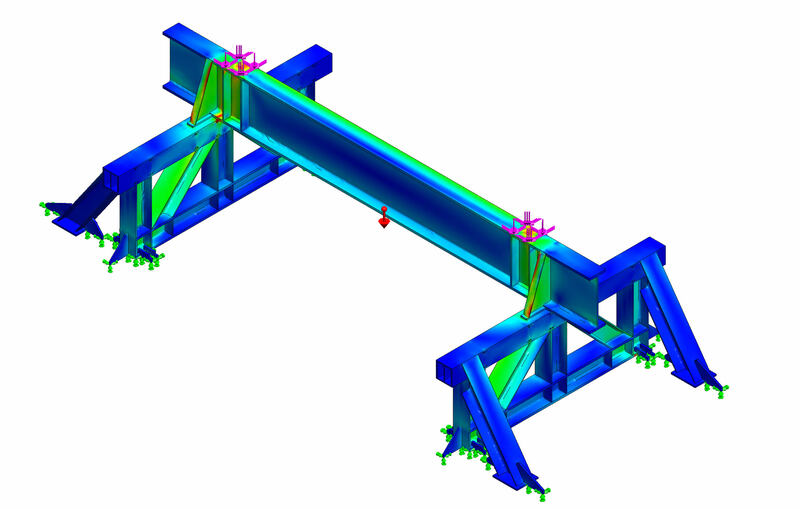 Implement and use SOLIDWORKS Premium simulation tools to conduct analysis work in-house.